Kidrobot has joined forces with Ron English to release this brand new Simpsons vinyl figure. Kidrobot is excited to bring together the classic Simpsons license with notable and talented artists like Ron English to produce these premium vinyl figures and add the artist twist to the figures. 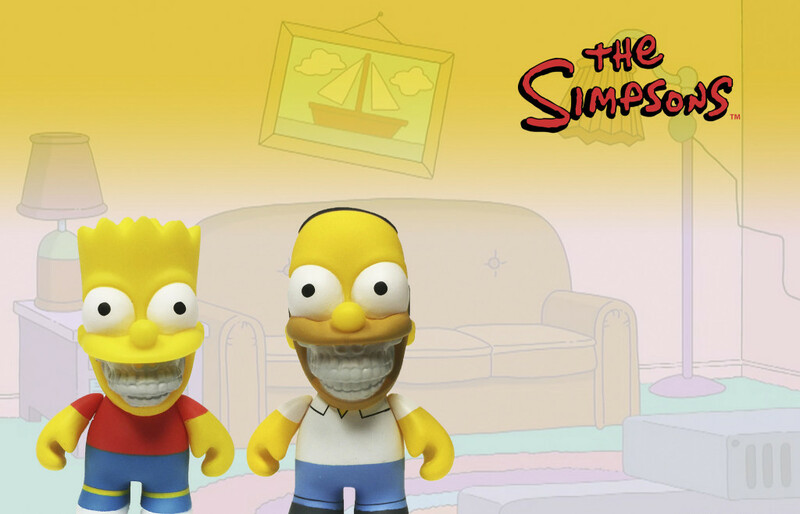 Now is your chance for The Simpsons fans to add something different to your Simpsons collection as Ron English brings his trademark grin to Homer & Bart Simpson! We are hearing from the Kidrobot camp that a new Simpsons vinyl toy series should be arriving in January 2016. Keep your eyes peeled! for now you can check out the leaked images HERE. Both priced at $ 14.99 from http://www.kidrobot.com/ and all over vinyl toy retailers.